By Kristine Uyeno – KHON 2-News. All traffic cameras damaged in a construction mishap Wednesday night were back up and running Friday. 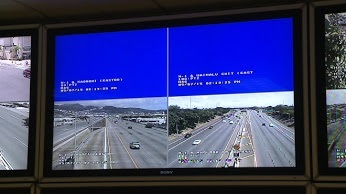 Crews worked day and night Thursday to restore 101 of the city’s 265 traffic cameras in Leeward, West and Windward Oahu. A contractor for the Honolulu rail transit project accidentally damaged a fiber optics line Wednesday night near Aloha Stadium, according to the Honolulu Authority for Rapid Transportation. No one was hurt, but the damage temporarily affected nearly half of the city’s traffic camera coverage, including some of the island’s most congested roads in Aiea, Pearl City, Ewa, Kapolei and Kaneohe. “It’s uncommon to have half out, but you know it’s a construction project, accidents do happen,” said Ty Fukumitsu, Honolulu Transportation Services. Cameras in other areas, like town and East Oahu, were not affected. As crews worked to restore the cameras, the city used the state’s GoAkamai.org website to monitor traffic along with Google maps. If those website showed congestion, “I would actually have to send personnel out there to do some timing adjustments because we need to see what’s going on. We don’t want to guess and guess wrong, so we do have personnel on standby, actually this afternoon, to… physically go to a site and if need to adjust the signal timing,” Fukumitsu said. City officials said they had other eyes on the road, including the Honolulu Police Department, HART and other drivers who will call them with updates. Contractor Kiewit was conducting utility relocation work along Kamehameha Highway shortly before midnight when the cable was damaged, and will pick up the tab for repairs. HART and Kiewit apologize to drivers for any inconvenience. 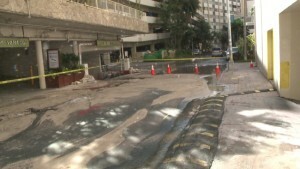 Board of Water Supply crews have completed repairs to an 8-inch water main break in Waikiki. The incident was first reported at around 7:20 a.m. on Helumoa Road off Lewers Street. The road was closed while crews isolated the break and installed a bypass that has restored water service to businesses in the area. All roads reopened just after 9 a.m. Thursday. The 8-inch water main was originally installed in 1971. Leaks, spills still happening in Hawaii – KITV-4 Honolulu Paul Drewes. Many are concerned about gas prices going up, but there is another concern in Hawaii: fuel going down from leaks in underground storage tanks. The recent Red Hill leaks drew a lot of attention to underground fuel storage in the islands. The massive tanks are the biggest in the state, but not the only ones around. The Department of Health monitors many more. “We have about 1,000 facilities with underground storage tanks like gas stations, emergency generators for hospitals, and for hotels,” said Steven Chang, with the Solid and Hazardous Waste Branch of the Dept. Of Health. A typical gas station may have three 10,000-gallon tanks underground. The location under paved lots makes it hard to spot a leak. So, along with monthly tank monitoring – some sites have weekly, even daily, leak detection tools. New tanks are also required to be double-walled, which can contain many leaks. But a number of sites still have old storage containers. “Unfortunately about a third of our inventory are single-walled tanks, fiberglass or steel. That is a problem because these older tanks aren’t used to the new types of fuels we’re trying to put in,” said Chang. Ethanol and even biofuels can harm some of those tanks and lead to leaks. Fuel can also be spilled into the ground when tanks are over filled or when pipes crack or break. Over the past three decades, the state has dealt with thousands of spills and even now with leak detection devices roughly 13 percent of the state’s underground storage tanks have problems. “We’re down to about 130 sites we are actively monitoring and working with owners and operators to clean up those sites,” said Chang. Why is monitoring underground fuel tanks so important? Because of what is deeper underground. “When you have underground tanks sitting over aquifers used for drinking water, if those contaminants get in the ground they can move and get into our drinking water,” said Chang. The state requires spills near groundwater to be cleaned up but other leaks may be left alone if they are in certain types of soil, like clay, that can contain the fuel. Bacteria and other factors will eventually help break down those spills, but that can take years and leave communities with contaminated sites. KITV Honolulu, Hawaii —Hawaii is the only state that still allows homes to be built with cesspools. An estimated 90,000 homes across the islands from Diamond Head to Puna are not hooked up to city and county sewer systems. Last year, Gov. Neil Abercrombie left office without signing new rules into law that would have ended the practice. The law could have forced property owners with cesspools to upgrade the next time the home went up for sale. 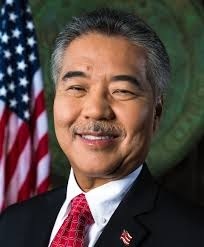 “They are committed to providing flexibility if there is a specific reason, but they are not willing to allow for a change in policy,” said Ige. To the EPA, it’s all about water quality. While some homes with cesspools are on the hillside, others are along the shoreline. Last year state health officials sent out the alarm about unusually high levels of bacterial counts in Kahaluu. At the time it was not clear if the E.coli was coming from wild animals or untreated human sewage. Lawmakers will take up two bills: one to allow homeowners to tap low-interest loan to upgrade their systems and another to ban any new cesspool construction. Hawaii will have to face facts that the EPA wants results. “They were open to consider either working with us to develop timelines or other provisions that we would need to ensure that we can implement them in a reasonable manner,” said Ige. Catherine Cruz’s – KITV4 Reporter..
Water main break and sinkhole in Halawa, road closed..
A water main below Halawa Heights Road broke and caused a massive sink hole. 17 Board of Water Supply (BWS) customers are without water due to the eight-inch break at 99-646 Halawa Heights Road. Just before 7:30 p.m. the BWS sent out water wagons to supply an alternate source of water to those affected by the pipe break. Officials saying those who can, should avoid the area. 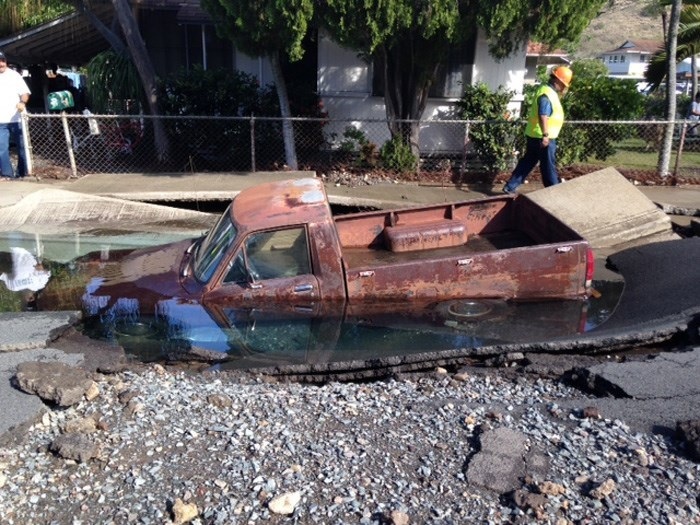 Repair crews are on scene and will work overnight to fix the pipe and restore the road. Breaking News – Halawa SinkHole.. Copyright 2014 Hawaii News Now.